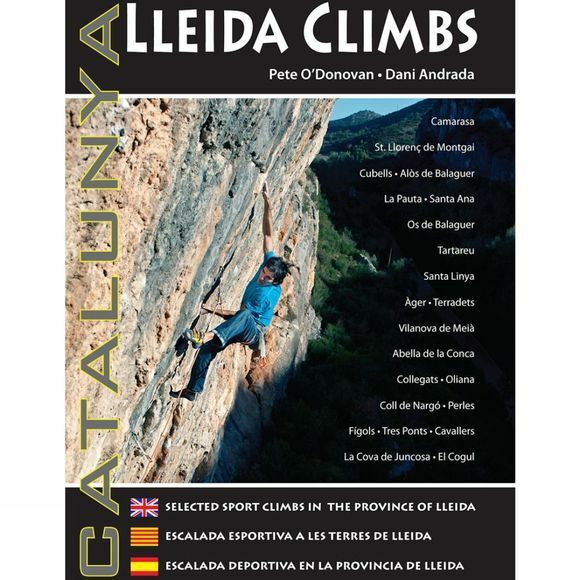 This is the second edition of this selective guidebook to the one of the finest sport climbing venues in Europe: the Catalan province of Lleida in Northeast Spain. The area is a rock climber's dream, offering everything from bouldering and single-pitch routes, to multi pitch classics, all set amidst some of the most spectacular scenery in western Europe. The new edition features an additional 88 pages and approximately 50% more routes. Written in conjunction with co-author Dani Andrada, one of the world's leading climbers, the guidebook describes 120 separate sectors spread across 22 zones, offering almost 2,800 routes of between grade III (S) and 9b+ (hard! ), and ranging from just a few metres in length to over 250m. Text is written in English, Catalan and Castillian. GPS co-ordinates for key parking areas are given.